It’s Christmas in July! And to help us celebrate, we have Cream Of The Crop Crochet back with us. 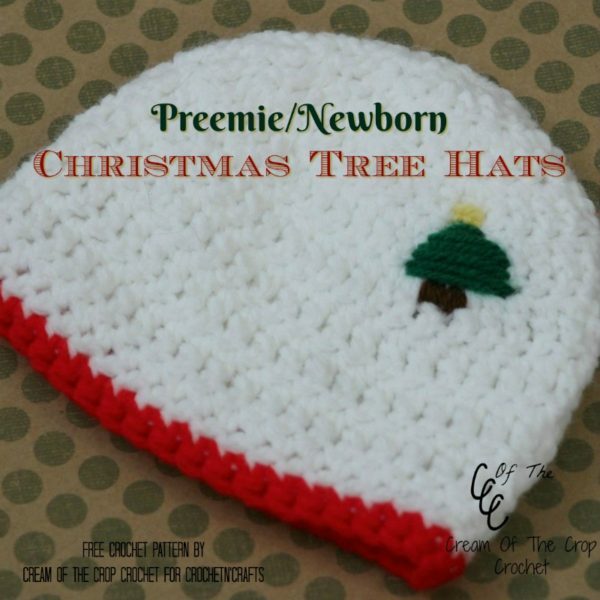 Today, we’d like to present you with a cute Christmas Tree Hat in preemie and baby sizes. 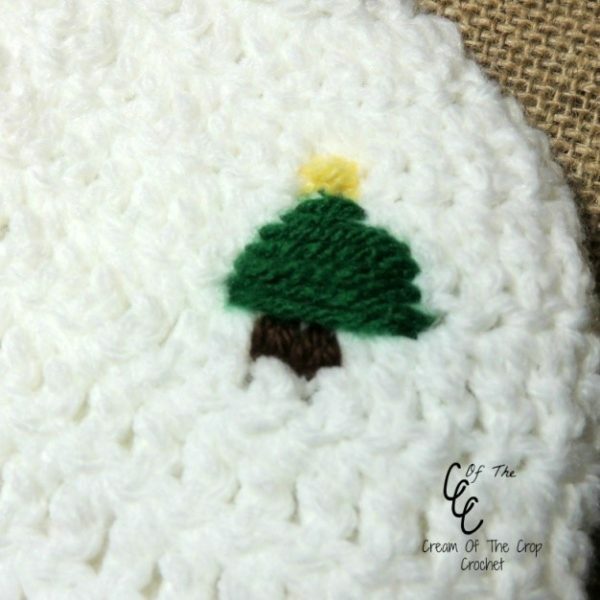 The pattern uses the satin stitch to embroider a small Christmas tree onto the hat. And if you’re not in the Christmas spirit yet, you can just as well whip this hat up in any colors you like for any season you like. Omit the embroidered tree and use any applique, or go without an applique altogether if you like. Depending on what you decide, this cozy hat pattern can be used for all occasions and would make for a lovely photo prop as well. Cut yarn, and change to red yarn. The Christmas tree may look small, but it looks so cute when the hat is folded up! If you would like it bigger, simply double the measurements. You have finished your preemie/newborn Christmas tree hat! Fold up the bottom to see how cute it is!